Take your holiday or corporate retreat to the next level with magnificent views overlooking tropically landscaped gardens, the swimming pool or the resort’s inviting lagoon from your private balcony. 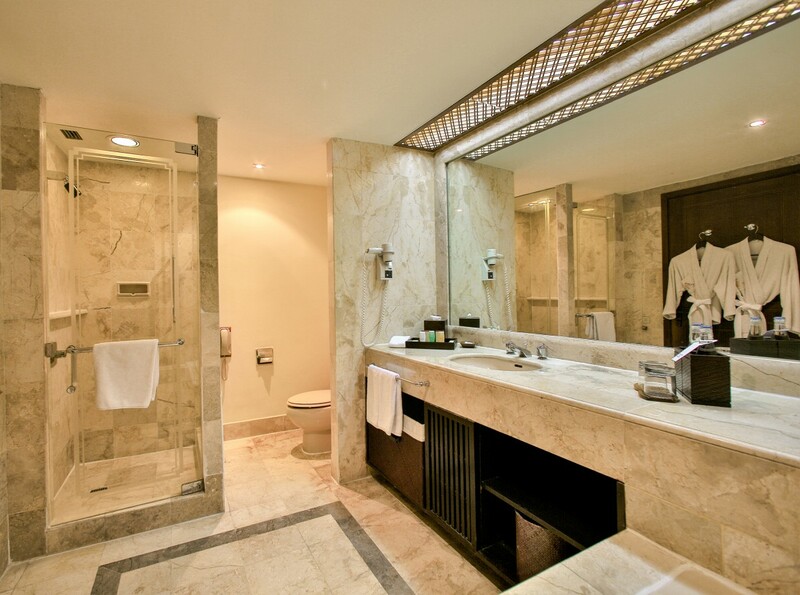 A generous interior footprint of 56 sqm welcomes blissful moments of tranquility and rejuvenation. 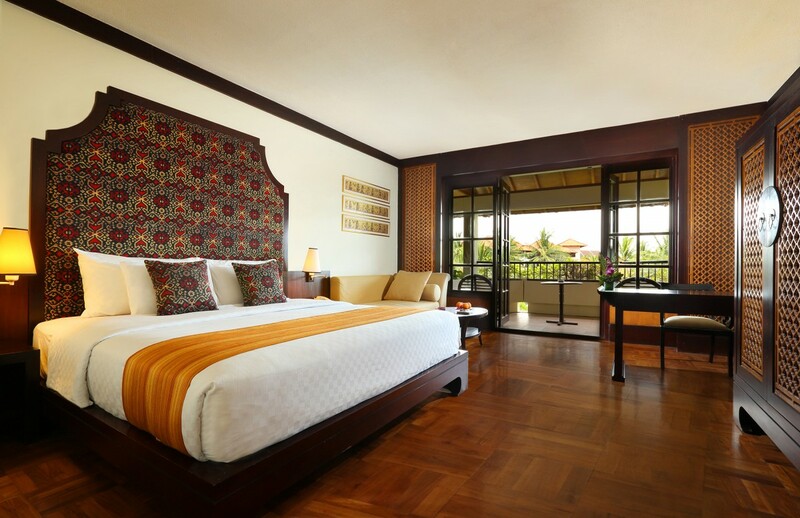 The Grande Room’s exquisite décor features teak parquet flooring, crafted teak timber furniture and traditional Balinese decorative pieces. Unwind on the cushioned sofa, relax with a hot cup of coffee delivered to your room, watch your favorite movie on the flat-screen TV and stay connected with complimentary WiFi. Available with choice of a king-size bed or two twin-size beds.